Enjoy a friendly welcome at the Lyon Bron Eurexpo resort. Our staff will be happy to see you. Discover our brand new hotel - it is sure to delight you! Come on down to Bron! Dive in head first at this hotel combining comfort and a journey into the world of the first video games. 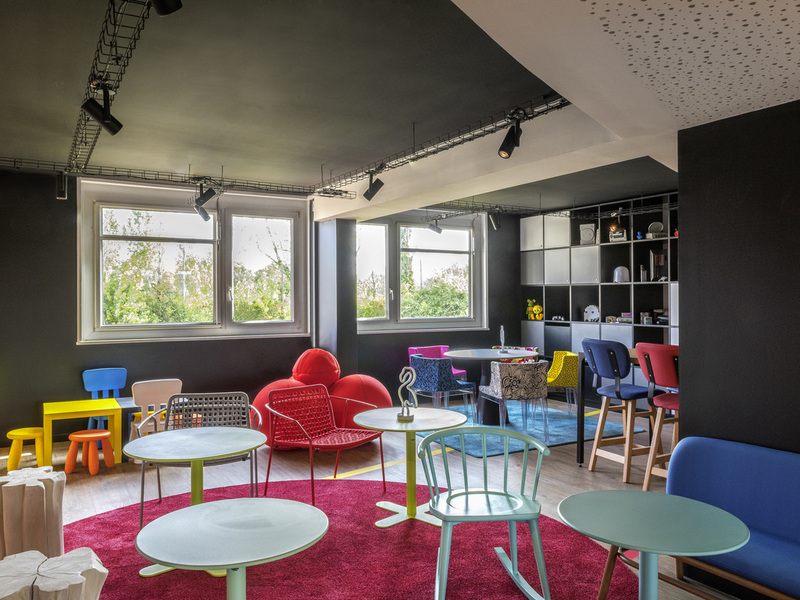 Discover the brand new ibis Styles Lyon Bron Eurexpo hotel, just 5 min from the convention center and fully redesigned with your business or leisure stays in mind. Rest in rooms decorated with citrus colors, indulge at the GB Restaurant and Bar and relax around the swimming pool. Our meeting space comprising 12 meeting rooms is available for your seminars and conventions. Free secure car park. 63-in double bed with microfiber pillows, soft duvet and mattress topper, and flat-screen TV. 63-in (160-cm) bed and sofa that converts into twin beds. Comfort for all the family. Lite högt pris utifrån standarden. Inte den frukost jag är van vid på ett hotell. För litet utbud, inget varmt, matsalen i receptionen, ingen lugn och ro Inte jättedåligt men ingen bra atmosfär, möblerna passade liksom inte. Internet slutade fungera på kvällen. Så helt ok, men inte mer, om man bara skall ha någonstans att sova. Men för att vara en, som för mig, en tjänsteresa så har jag större förväntningar. Nyckelkortet fungerade inte. Fick gå ned till receptionen och ladda om det.